If you get an e-mail from the U.S. Citizenship and Immigration Services (USCIS) requesting Form I-9 info, trash it. USCIS has learned that employers have received scam e-mails requesting Form I-9 information that appear to come from USCIS. Employers are not required to submit Forms I-9 to USCIS. These scam e-mails come from a fraudulent e-mail address: news@uscis.gov. This is not a USCIS e-mail address. The body of the e-mail may contain USCIS and Office of the Inspector General labels, your address, and a fraudulent download button that links to a non-government web address (uscis-online.org). Do not respond to these e-mails or click the links in them. If you get a suspicious-looking e-mail, you can double-check its legitimacy by sending it to USCIS via: uscis.webmaster@uscis.dhs.gov. USCIS will review the e-mails received and share with law enforcement agencies as appropriate. Visit the Avoid Scams Initiative (www.uscis.gov/avoid-scams) for more information on common scams and other important tips. 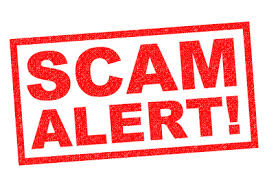 If you believe that you received a scam e-mail requesting Form I-9 information from USCIS, report it to the Federal Trade Commission (www.ftcomplaintassistant.gov). Please call if we can be of any help.